I’m honestly in shock. How could it have come to this. People would rather vote for a candidate with no political experience, is racist and sexist, and is best known as a reality TV star instead of a female who they think is corrupt even though the FBI has found her not guilty. What’s even harder in the situation is that as an expat I sent in an absentee ballot weeks ago and you hear on the news that 80% of absentee ballots are going to Clinton you feel a sense of false hope. Its going to be a slow, never ending train wreck people. Here’s how to move to New Zealand. I arrived in New Zealand in the Bush era where you often found Americans saying they were Canadian instead of American so they didn’t have to talk about politics or Bush with other travellers. And where are we now 16 years later? In those years I’ve lived in London, Japan and for the last 12 years in New Zealand. I live in a country that accepts immigration. Immigration New Zealand has even created a page dedicated to Americans who want to move to New Zealand. One of the easiest ways to move to New Zealand is if you are under 30 and want to come here you can get a working holiday visa. This is how I first came here back in 2004. You can come here and work for up to a year by applying online and having approximately $3,000 USD in your account. I was able to apply for another visa after my year was up as they had changed the visa slightly. This is no longer available but there are other options such as a skilled migrant and applying for permanent residency like I did which then after 5 years I applied for citizenship. Thank goodness my time here will not be up any time soon. 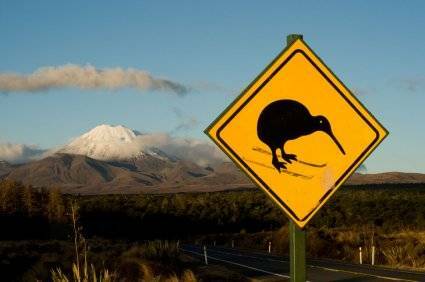 If you are looking to abandon ship and are interested in how to move to New Zealand have a read here. The job market in New Zealand is very strong, we have a good work/life balance, and free health care. It has a more expensive cost of living and average house prices are high especially in Auckland but its worth it. I’ve been to over 90 countries and New Zealand is still by far my favourite place in the world. Disclosure – I am writing about my personal experience with immigrating to New Zealand. I am not an expert in this area but the Immigration New Zealand website contains a wealth of information for those interested. You can read more about my experience and how to move to New Zealand here.